We all love a home cooked meal, especially as the colder months kick in, but as I mentioned in my previous post ‘shopping for groceries’ this can be expensive. That is why in this post I’m going to look into the pros and cons of growing your own fruit and veg compared to shopping in the supermarket. Between the two, grocery shopping is the easiest choice. Admittedly it involves walking or driving to the supermarket in the first place, which can be hard enough, but having everything in one place, including internationally grown groceries, creates a hassle-free process. You can tick off ingredients from a recipe and have them all in one place straight away, rather than waiting for them to be grown. What comes with ease is the price too. Products you find in the supermarket can be of a higher price than the cost of growing your own, but not all products can be grown in the garden, especially in the UK. Products such as bananas and avocados have to be purchased from a shop, but this comes with a price tag. Of course there’s always that benefit of stumbling upon a great deal the supermarket has on. There are a lot of ingredients that can be grown in the garden rather than purchased, such as herbs, carrots and tomatoes. Growing your own means you have an easy access to a constant supply of natural ingredients for your cooking. You know exactly what’s in your food and know the final creation of meal on your table is healthy and where its journey has been. There’s more benefits to growing your own fruit and vegetables than health, there’s the project itself too. There’s no better feeling of taking a bite out of something you’ve planted, nurtured and picked yourself, there’s a sense of pride to it. This can also bring the whole family together from planting to preparing the food in to a meal. Whilst there will be the odd trip to the local store they will be few and far between. Growing your own will give you quantity and quality control, ensuring you don’t have leftovers. 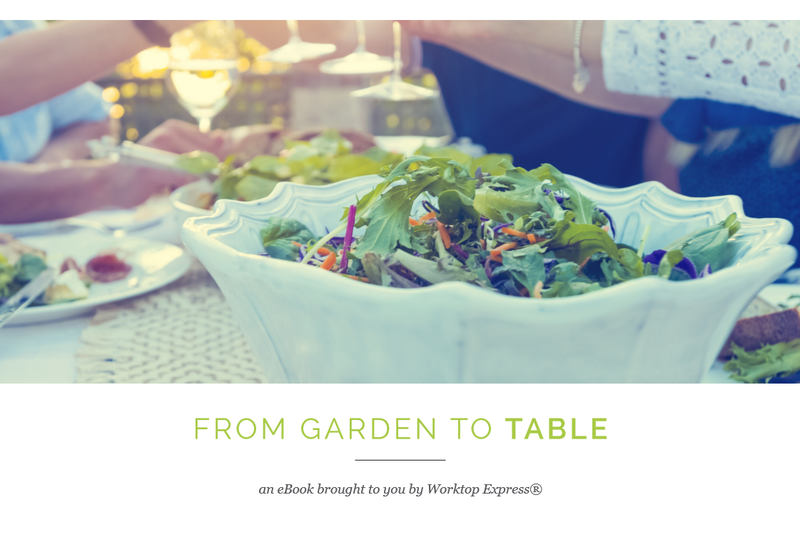 If you need some cooking inspiration then look at the fabulous eBook called #DigYourFood from www.worktop-express.co.uk, with recipes featuring ingredients that can be grown in your own garden. Cottage pie, barbeque side and Rhubarb cake there’s something to suit all tastes.